But… what if a loved one is not coming home this holiday season? What if death, divorce, or distance causes us to associate the holidays with words and feelings like depression, anxiety, and stress? Holidays can create fresh memories of our loss and a fresh experience of pain and grief. The thought of facing another holiday season causes some people to wish they could sleep from the Wednesday before Thanksgiving until January 2. Loss is always hard, and at the holidays it can seem crushing. The thought of being in a festive mood for two months is just too much to bear when our heart is breaking. BMH Author Robert Kellemen has prepared a resource for those who have experienced a loss during the holidays. 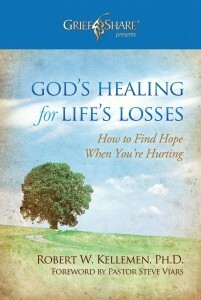 It’s based on his BMH book, God’s Healing for Life’s Losses. Read Healing for the Holidays by clicking here.